Heard any accordion jokes lately? Who Hasn’t? 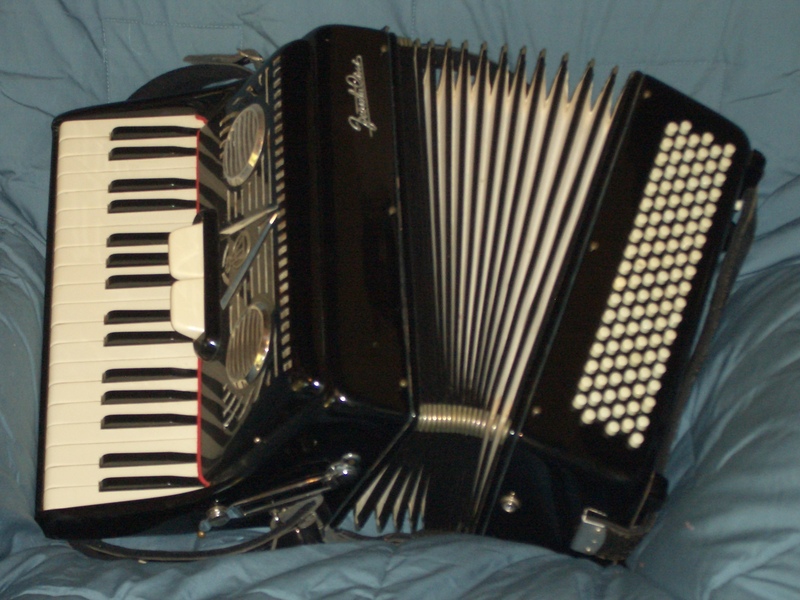 The accordion has been much maligned throughout its history. Each time I hear someone belittle accordion music, my hackles rise. I must come to the defense of my late mother, an extraordinary musician who made beautiful music on her accordion. Have the detractors of the accordion never heard the romantic and evocative strains of Lady of Spain or a haunting accordion rendition of The Third Man Theme? Maybe not, those musical delights are from a bygone era. 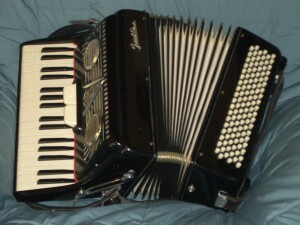 But there are other more modern musicians who have incorporated the accordion into their repertoires. The instrument brings its subtle but enchanting sound to the music of a variety of artists, from the fifties up to the present day. Those delightful notes and chords often go unrecognized, leaving the accordionist an unsung hero of many musical hits. Superstar musicians who have used the accordion to enhance their musical numbers include The Beach Boys, The Beatles, Billy Joe, Bruce Springsteen, Grace Jones, R.E.M., The Rolling Stones, Talking Heads, Tom Waits and many, many more. One of my favorite Pandora Radio Stations is the one I created when I discovered Dan Newton’s Café Accordion Orchestra. It is reminiscent of the music heard in Paris bistros of the twenties. It set the perfect mood when I was writing the second novel in my Aimee Machado Mystery series.